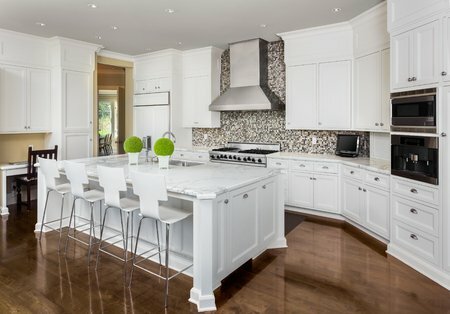 What is engineered tile? You have probably heard of it before, but are unsure how it differs from traditional tile. To help expand on the topic, we dove deeper into discussing what it is and why you should choose it. You may be wondering how engineered tile differs from traditional tile. What exactly is the difference? Engineered tile is built on a stone composite base to help deliver it with incredible durability and resilience. This tile differs from your traditional ceramic and porcelain tile options because of its strength. Engineered tile comes in a wide selection of designs that have been inspired by elements found in nature. You can find anything from a wood-like finish to classic tile. If you choose a class tile look, you can have your engineered tile installed with grout to create a more authentic look. Otherwise, you have the option to work without grout for a more seamless and aesthetically-pleasing look. Like we mentioned before, the resilience found in engineered tile is outstanding. If you were to drop something hard on your traditional tile floors, you would often find a crack. With engineered tile, you will find a more resilient and durable flooring that can handle drops and accidents. This attribute helps to make engineered tile a greater investment. Plus, if damage were to occur in your engineered tile, it is easier to replace than traditional tile. You will find that traditional tile floors are often hard and cold. It can feel uncomfortable to stand on for hours at end, especially in kitchens when prepping meals. With engineered tile, you can receive the natural tile look with more warmth and comfort. Engineered tile offers a softer underfoot to help your feet feel at ease during meal preparation. You will find that engineered tile comes with a fast and easy installation process. Helping to make your remodel process go by faster for more enjoyment. With engineered tile, you are guaranteed an easy to clean and maintain flooring option. Plus, this flooring is extremely resistant to stains and scratches helping to make accidents less tragic. Amongst the vast selection of styles, engineered tile can be installed on your walls for a transitional look in bathrooms and kitchens. Engineered tile is long-lasting with high performance and beautiful features. It truly is an incredibly flooring choice for your home. What are your thoughts on engineered tile? We would love to hear your thoughts below in the comment section. Understanding how to properly care for and maintain hardwood floors is essential in order to lengthen their lifespan. Just like your much-loved automobile, you may look at your hardwood floors in a different light because they are a home investment. To help readers secure their investment, we encourage proper maintenance and care. By caring for your floors as you would a car, you will find that they will be cherished for their beauty as well as their longevity. Let’s take a look at the different ways you can maintain your floors. Clean Flooring – This is the most basic task for maintaining and extending the life of your floors. Simply sweep and dust mop the floors daily to prevent dust and dirt from spreading. This will also eliminate allergens from your home and prevent the floors from becoming scratched. For additional maintenance, only clean floors with products recommended by the manufacturer. Sunlight Exposure – Do not forget that sunlight can fade the color of your hardwood floors. During the peak hours of the day, use window coverings to eliminate the sun directly hitting your hardwood floors. Floor Coverings – Area rugs are another great way to prolong the life of your floors while adding comfort, texture, and even a pop of color. Rearrangement – Another helpful tip is periodically rearranging the furniture to allow the flooring to age naturally. By doing so, you will not have one area of your hardwood floors more aged than another area. It will help keep consistency in your floors. Avoid Dulling Objects – High heeled shoes can scratch and potentially damage hardwood floors. We recommend encouraging shoe removal when guests enter your home. You can do so by placing in a designated storage area of the foyer. Also, if you are a pet owner, keep your dog’s nails trimmed for their health as well as your floor’s. Floor Protectors – Invest in inexpensive floor protectors to place under furniture to prevent scuffs and scratches. These protectors are also excellent for moving around large pieces of furniture. They not only prevent scratches but make it so easy for one person to move furniture, especially for cleaning. Accidents and Spills – Clean spills immediately with a dry, white cloth or paper towel to prevent staining and discoloration of the natural color. Again, only use cleaning products recommended by the manufacturer to guarantee effectiveness and safety. By properly caring for your hardwood floors, you are securing your investment. It is essential to take all of these steps into consideration for long-lasting floors. For more expert tips and tricks, visit us at From The Floors Up. Remodels are the perfect time to change the things you dislike about your current space. This includes its functionality, design, and flow. To help create the perfect space, we have included six must-have ideas for your bathroom. Let us take a look! If you ever have two people getting ready at the same time in the morning, a double sink is a necessity for you. Double-sink vanities are efficient and beautiful. They provide the homeowner with more space to get ready while adding elegance to your space. When in doubt, go double. Expert designers encourage homeowners to have at least one bathtub in their home. But if your heart is not set on solely having a bathtub, you could get a shower + tub combination. Most homeowners find the combination more appealing and this option tends to work well for families. There is nothing that a little extra storage cannot fix. When remodeling your bathroom, remember the amount of storage that you currently have and how you want to advance it. Believe us, there is no such thing as having “too much” storage. You can always find an item to put there. If you have a family, you want to make sure that your bathroom remodel is kid-friendly. By making it kid-friendly, you can accommodate your little one’s needs. Things like shorter countertops, pitch-free drawers, and rounded corners can be a life-saver when your little one is getting ready for bed. 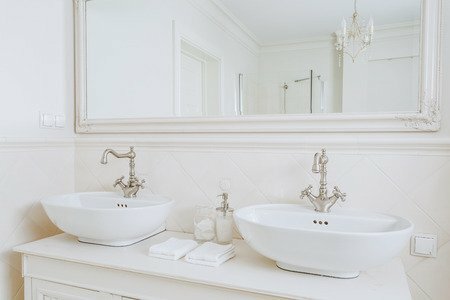 While you are deciding on your bathroom materials, you want to take into consideration how easy it is for you to clean. Now that you have the choice to make things easier on yourself, why would not you? Choose easy-to-clean floors and countertops for your bathroom. If you need help, we would love to assist you! Just ask one of our expert sales staff. Remodeling costs can skyrocket if a homeowner decides to change the plumbing. Moving your toilet to a different wall may ultimately be the best idea, but keep in mind that your budget will increase. If you are trying to keep costs low, try to keep your plumbing where it is. Get the best quality floors for your bathroom! With excellent customer service and satisfaction, we will not disappoint you. Give us a call today and find out why we are the best. Kitchens are one of the most important rooms in a resale. Aside from bathrooms, kitchens will play a big role in a buyer’s decision process. Whether you are renovating for yourself or a future resale, updating your kitchen can be a fantastic idea. To help you, we have created four tips for you to use during your renovation. Let us get started! The lighting you use in your kitchen can be more important than you might think. You want the lighting to be focused on your specific “work areas.” Areas like the sink, stove, and island will be your focus. When you choose the lighting for these areas, you want it to provide a significant amount of light. Since you are working with knives and hot tools, it can be imperative for you to see what you are doing. To help avoid injury and make life a little easier, we recommend “spotlighting” these important areas. Your backsplash can be very diverse. Typically, a backsplash is used to add design and style to your space, but it can also help protect our walls from food splashing. Not only is it beautiful to look at, but backsplash provides a layer of protection for our kitchen surfaces. Be sure to add a gorgeous backsplash to your kitchen during the renovation. An island can be an incredible space for prep-work. They provide extra kitchen counter space while adding to the overall look of the room. If you are planning on using your island for prepping, be sure to add a sink. The sink will add ease of mind when prepping and cooking your favorite meals. Plus, consider adding storage on the outside walls of the island. A little bit of storage can go a long way! Be sure to talk to your contractor about all of the kitchen island possibilities. During a remodel, you can add those special features that you wish you always had. Items like a pot-filler, wine cooler or lazy-susan can transform your space and personalize it to your taste. Be sure to mention your interests to your contractor and see what you can add to your space. With a kitchen renovation underway, you will need new flooring from a company that you can trust! Rely on us to be your number one flooring provider! We will work hard to transform your space in a timely matter. Contact us today for information on our pricing and services. Want to give your child a fun and imaginative play area? Of course, as parents, we understand the importance of making sure the children have their playtime. In fact, according to experts, imaginative play helps children develop creativity and thinking skills that they will likely employ later on life. How can you create the perfect play area if you’re short on space? 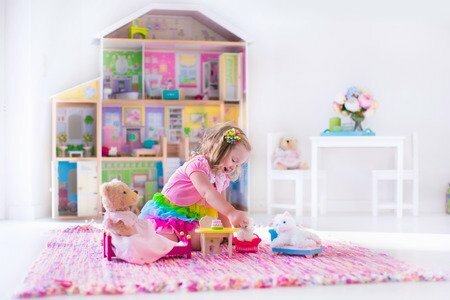 While in a perfect world you would be able to dedicate an entire room to create a play area with all of your children’s favorite toys in the real world it just doesn’t work like that. In most homes, the main areas such as the living room or the family room have to be able to accommodate both the adults, teens and the little ones in the family. Here are some ways you can create multi-functional play areas in your home. It’s time to get creative. More than likely you probably already have the bare bones for the perfect play area. 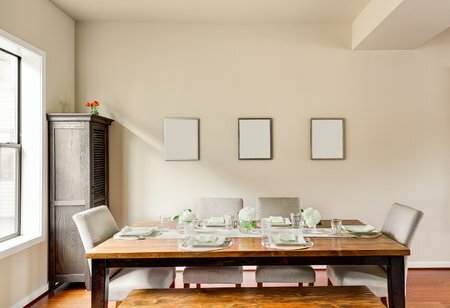 Consider using the long bare wall in your living or dining room. Yes, you can use the walls to create a large bulletin chalkboard that the kids can draw and write on. If you have older children in the home you can use your handy skills to install a built-in desk into the wall where homework or other tasks can be completed. What about the attic that’s just collecting dust or the basement that no one really ever goes into? 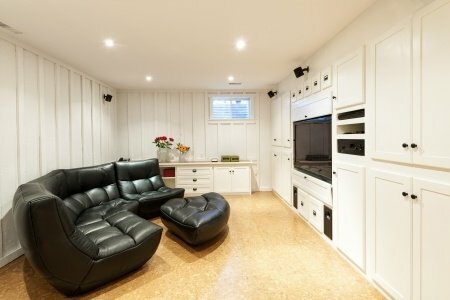 Consider turning spaces that the family doesn’t really use into a play area for the children. Remodeling such spaces don’t have to be expensive. A deep cleaning and fresh coat of paint can make a world of difference. If your living room or family will also double as a play area then you want to separate or define the space. Area rugs can work as a divider to separate the play area. It’s important to not let the kid’s toys clutter the living room. Make use of smart storage solution to design a space with clean lines and also functional. If you have any questions about the best types of flooring to use in your playroom, we are happy to help! We have the experience to help you find the best solution for your home. Tip No. One: Make a Statement. To create a statement wall in your bedroom, you will need to decide on either paint or wallpaper for your space. Once you have chosen your preference, paint or wallpaper the wall that holds your bed. You want this wall to have the most attention in your bedroom because it highlighting the fact that it is a bedroom. From white and gray stripes to a bold pink, the options for your statement wall are truly endless. Just try to tie the colors in with the room’s overall color scheme. Tip No. Two: Something Old. Thrifting is a great way to find unique, inexpensive items for your bedroom. Thrift shops have a lot of furniture that can make your room look rustic and timeless. The key to thrift stores is finding unique items and turning them into creative furniture pieces. For example, you could find a treasure chest and use it as a nightstand or you could find a ladder and use it as a bookshelf. Before you go thrifting, read reviews online and try to get an idea of where the best finds are located. A way to save money in your bedroom is to incorporate furniture that will serve two functions. For example, you can have a desk that will also be your vanity. When you are planning the layout of your room, try to figure out what pieces of furniture can be used for something else. Tip No. Four: Get Creative. Headboards can be an unnecessarily, expensive add-on to bedrooms. If you are wanting a headboard but do not have the funds, create your own! From palette boards to antique bookcases, headboards are easier to create than ever. Tip No. Five: Less is More. 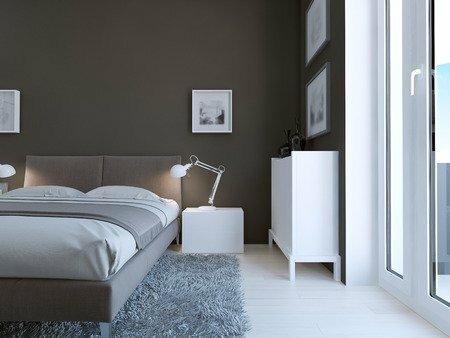 While decorating your bedroom, keep in mind that less is more. This tip can be especially helpful when you are trying to save money. Just try and keep things simple and keep the decor light in your bedroom. A cluster can look too busy rather than simple. While you are remodeling your kitchen and bathroom, keep us in mind for all your flooring needs. Call us with any questions. Dining rooms are where families meet for dinner, talk about their days, share in laughter, and enjoy one another’s company. When decorating, dining rooms can be put on the back burner to rooms like the kitchen and living room. But why not spend time making your dining room spectacular? We want to help you turn your boring dining room into an elegant escape without breaking the bank. Wallpaper can be a great solution for homeowners looking for textured walls. If you are not ready to dive back into this retro wall styling again, try using stencils and paint to create a patterned look. The main focal point of dining rooms is typically the chandelier. Homeowners want to captivate guest’s attention to their exquisite light fixture. If you are looking for inexpensive version, check your local antique shops for rustic chandeliers. You can even spray paint the antique fixture a solid color to make it look brand new. Seating does not need to be all the same style anymore. Mixing and matching seating is trendy and affordable. Go to your local thrift shop and search for a bench to put under your dining room table. This look gives the room a modern twist. Statement walls are a necessity in dining rooms. From a bold color wall to a gallery wall, you can easily transform the space with a simple statement. The best part is that statement walls can be really affordable. You can incorporate some of your favorite pictures and decor to make an affordable gallery wall. Add flowers and plants into your dining room to bring life into the room. Nature can give subtle pops of color throughout the room without being obvious. Often, the floor is the last thing on your mind when decorating. But your entire space can be transformed just by changing the flooring type. Replace carpet with wood or tile for a more formal dining room. Add an area rug or simply change it for a rug with a more daring design. You will be amazed at how quickly your room can take on a new tone! This flooring choice is a cost-effective way to achieve a variety of looks without purchasing multiple materials. Constructed of four layers for durability, laminate can mimic the look of hardwood, stone and ceramic tile. No matter which style you choose, this flooring will hold up well in high traffic areas. Be sure to install an underlayment before putting down this product in order to create a moisture barrier to protect from any possible leaking through the seams. As an extra benefit, the underlayment also provides noise reduction. This material is also resistant to staining and fading. Vinyl is another great economical choice for achieving the look of hardwood, stone and ceramic tile. Available in sheets, planks or tiles depending on your desired look, this material also comes in a variety of glosses so you can choose your level of shine. Vinyl is moisture-resistant and comfortable underfoot so it’s perfect for places like the kitchen, where you may be standing for longer periods of time. Ideal for high traffic areas and durable enough to withstand your pet’s nails, this flooring is a great choice for the busiest rooms in your home. It’s easy to install and is usually made with an antimicrobial layer, making it a healthy choice for your home. This man-made alternative to hardwood flooring has improved a lot since it became available in the 1960s. It’s easy to install and more cost-effective than the original while maintaining the same timeless look. This flooring can be installed anywhere you would want hardwood to go as well as a few additional areas that you wouldn’t think possible. As this type of wood does not expand and contract as much as hardwood when placed in humid areas, it can be installed in basements as well as near heating elements. While it may perform well in these areas this material is still not a good choice for bathrooms as standing water would be too much for it to withstand on a regular basis. 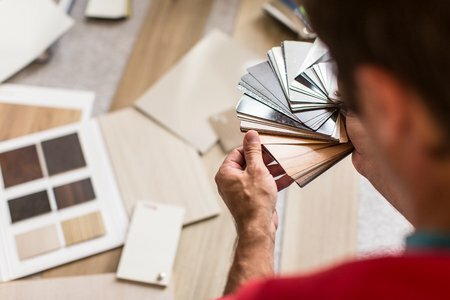 Considering what flooring to put in your new home or existing renovation can feel a bit overwhelming. There are multiple options that would most likely work well in your living space, but what’s the best one for you? You may be familiar with hardwood, ceramic tile and carpet, but let’s take a moment to check out some alternative choices available in flooring. While concrete has a good reputation for outdoor use, it is also a great choice for indoors as well. Whether you use the existing concrete slab in your home or have it freshly poured, this is an environmentally friendly option as materials are locally sourced. Floors can be customized using different stains and dyes and can easily be given a textured surface or a sleek and shiny appearance. It can also be stamped to look like tile or a uniquely shaped design with contrasting but complementary colors. Once sealed it resists mildew, mold and other stains, making it a safe choice for moist areas. Another eco-friendly choice is cork flooring as its manufacturing process is easier on the environment than other flooring materials. It is also recyclable and biodegradable. Using stain and paint, you can achieve any look you desire from this material. Cork naturally helps retain heat, making it warm to walk on and reduces indoor noise. The thicker the cork, the better the insulation. This flooring requires sealing and is resistant to fire, mildew, and mold, however, it is not best to install it in a moist environment as it is not water-resistant. Bamboo is an easily sustainable and durable choice for flooring. If you like the look of hardwood but want something a little more unique, this is the flooring for you. It is technically a grass but is a very hard surface. Natural bamboo is light in color, but there are also multiple stain options to suit your needs. Keep in mind that the darker the bamboo, the softer it becomes because the material has been processed to alter its appearance. Bamboo can be constructed in multiple ways depending on the look you are going for. Pieces can be layered together horizontally and vertically as well as shredded and woven together. While this is a great material for most rooms in your home, keep in mind that extreme humidity can cause this flooring to expand or shrink. 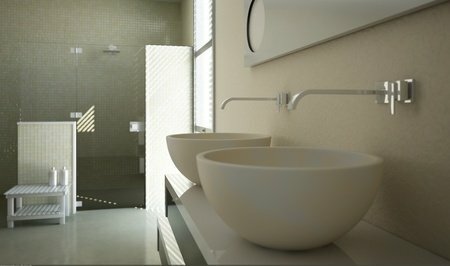 An updated bathroom not only adds quality to your life it may also attract potential homebuyers. Whether you are happily settled in your dream home or looking to sell, making sure your bathrooms are up to date is always a good thing. Consider these bathroom renovation tips to spruce up this essential space in the house. Think about trying a sleeker design for the shower stall as this is an easy way to add value. Barrier-free shower systems add luxury to the space, making getting in and out of the shower easier for adults, young and old alike. Install large glass doors that will help the room look larger since there is no shower curtain separating it from the rest of the space. Consider a large shower head or multiple jets that provides adequate water pressure. They will not only look nice but give you a spa-like feeling right in your own home. Updating your bathroom floor will change the whole look of the room. Be sure to use a material that is resistant to water and stains. Tile is a classic choice, but there is also vinyl, cork and engineered wood to consider. Any look is possible since they are all good choices to use in a damp area, so feel free to step out of your comfort zone to give them a try. New cabinets will help bring your bathroom up to speed. Determine whether you want to have more or less storage as this will help you choose what design will function best in the space. A master bath may require larger cabinets than a guest bathroom that isn’t going to get as much use. If the space is small, using lighter colors is helpful for making the room look bigger. If you’re cabinetry is large enough to accommodate dual sinks for your countertop area, go for it. Potential homebuyers love to see this in a home. For single sink areas, choose a bold idea like a vessel sink or a drop-in with detailed design around the rim to add character. Fixtures also play a big part in the look of your bathroom. They come in an array of finishes to complement the rest of the room and a variety of styles that lets you choose whether you want to go for a vintage, contemporary or modern look. Be sure to match the cabinetry, shower and lighting fixtures to keep on theme with your renovated design.